During the Cold War, a polarized order prevailed in East Asia due to China’s switching sides. Some have predicted its return as China and Russia draw closer, away from the United States and Japan as they rally others behind an order that would contain these rival powers. The Obama approach, solidifying alliances and partnerships while introducing initiatives such as TPP, was a soft version of polarization, keeping the door open to China and others. Critics of this approach advocated a tougher version, stepping up the pressure on China and Russia over North Korea’s nuclear weapons and other issues. The harder approach would have begun with strengthening alliance relations with Japan and South Korea and applying more joint pressure on China and Russia. Today, however, Abe Shinzo continues to woo Vladimir Putin and increasingly embraces the Belt and Road Initiative of Xi Jinping in an effort to improve ties, while Moon Jae-in redoubles efforts to work with Putin and strike a deal with Xi in a way that would limit his freedom to constrain China’s assertive behavior. 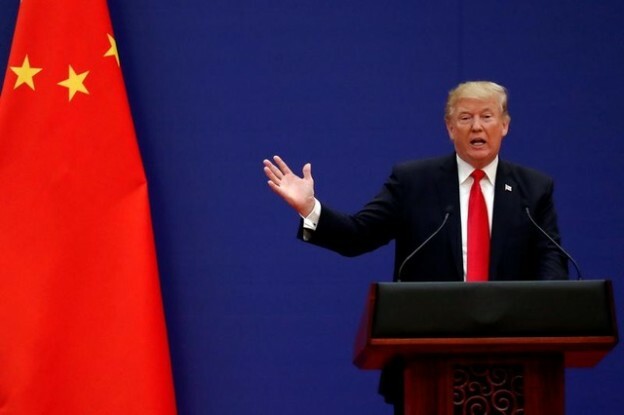 As East Asia specialists in the United States follow these developments, how do they assess Trump’s disregard of values and idealism and his “America First” deal-making? There are at least three explanations offered for the shifting tides of relations with China and Russia by US allies and Washington itself: 1) Trump is not a strategic thinker and is letting matters drift; 2) the North Korean threat is so great that this sort of accommodation makes strategic sense; and 3) some deeper forces are at work, for which Trump does not have much responsibility. Much attention has centered on the unusual dynamics of US policy making, that many are overlooking Japan and South Korea’s policy shifts or simply attributing them to the policy proclivities of their individual leaders. Nonetheless, we need to take a deeper look at what was transpiring in diplomacy during the last months of 2017. There is a widespread assumption that Trump alone is responsible for unusual chaos in US foreign policy in East Asia: vacillating between a hard and a soft stance toward China, alternating signals on how close to a preemptive or preventive strike Washington is toward Pyongyang, and alarming allies with threats about trade and burden sharing amid efforts to strengthen alliances. The message has been garbled in a totally unorthodox manner. Experts may prepare a National Security Strategy, but they never can be sure if Trump will speak or, more likely, tweet, in a manner consistent with their consensus. The unpredictable nature of the process has distracted people from the difficulties of policy-making in the current regional environment. Yet, the Trump factor should not be overlooked. The Trump factor is manifest in the following ways: 1) hedging against the United States due to Trump’s unpredictability and unwanted pressure; 2) keeping options open due to Trump’s threats to apply drastic methods that could cause irreparable damage to one’s country; and 3) following Trump’s example in cultivating relations with Xi and Putin, in part over the possibility of isolation if Trump were to cut a deal. Thus, even as allies strive to stay in Trump’s good graces, they have reason to seek a degree of balance or insurance in great power relations, which are now in serious flux. The overwhelming priority for any US president in 2017-18 is prevention of a real nuclear threat from North Korea armed with functional ICBMs. Whether one finds it convenient to dismiss Obama’s approach as “strategic patience” as if there was no serious response or Trump’s approach as “militaristic bluster” as if diplomacy was not being given a chance, the challenge of getting China to cooperate fully while applying a full-court press against the North has overwhelmed other priorities. The same urgency for China’s cooperation and, increasingly, Russia’s cooperation too, exists in Seoul and Tokyo. Thus, as the danger of North Korea’s military advances has deepened, the need to find ways to win more cooperation from Xi and Putin has grown too. This can be one explanation for foreign policy shifts in recent months. Washington has tended to downplay the diplomatic reasons cited in Tokyo and Seoul for their overtures and concessions to Moscow and Beijing. Many do not expect that Abe or Moon has the leverage to sway Chinese and Russian policies toward Pyongyang rooted in balance of power logic or national identity. Abe is viewed as wooing Putin for the return of the disputed islands—a Japanese identity quest. Similarly, Moon is seen as wooing Xi for more autonomy in pursuit of rapprochement with North Korea or the progressive goal of making Seoul a regional “balancer”—a South Korean identity quest. Yet, the Trump example of pursuing Xi in order to secure greater cooperation against North Korea, including intensified sanctions, is no less relevant to Abe and Moon. North Korea may be used cynically to favor a particular notion of balance of power, but the reality is that states are jockeying for greater influence or different frameworks for regional architecture. US economic clout has diminished sufficiently relative to China’s to make it a consideration in states’ strategic thinking, revealed painfully to South Korea by China’s informal sanctions to punish it for the deployment of THAAD batteries. Russia has also boosted ties to North Korea in the hopes of increasing its leverage in any resolution of the nuclear crisis. In recent years, isolated in its own region by poor relations with China, South Korea, and Russia, Japan has not only prioritized closer relations with the United States, but has looked for breakthroughs to reduce its marginalization in Asia. The Quad of US-India-Japan-Australia security ties, the attention given to ASEAN cohesion and closer ties to many of its members, the deal in 2015 with South Korea over the “comfort women,” and the pursuit of Putin since Abe’s return as prime minister in 2012, are now complemented by Abe’s eagerness for summits with Xi in 2018. These moves suggest an aim to avoid polarization, taking advantage of Japan’s still formidable economic clout. An additional explanation is its acceptance of a complex regional, multipolar order that cannot be managed by relying solely on US leadership. For South Korea, the level of vulnerability to China and Russia is much greater. Each can use assistance to North Korea as a lever against the South. China has confidence that South Korea’s economic dependence makes it highly susceptible to pressure. it seemingly behooves Moon to yield to Chinese insistence that THAAD deployment be stopped now or eventually rolled back, that missile defense ties to Japan be severely limited, that trilateral alliance ties be eschewed, and that talk of Seoul subscribing to the “Indo-Pacific security framework” trumpeted by Abe and Trump be curtailed. Park Geun-hye in 2013-16 had tried to avoid arousing Xi’s ire, and after one year or so when, as the North Korean crisis deepened, she defied Xi, Moon is renewing the strategy of straddling Sino-US differences over matters that do not threaten the vital ROK-US alliance but allow room for maneuvering in Asia. The US debate on Japan and South Korea’s foreign policy changes in late 2017 is slowed by the obsession with the internal dynamics of the Trump administration, including its struggle over Russiagate and Mueller’s special counsel investigation. At the end of October, Moon’s “three no’s” was somewhat of a wake-up call, and the November Abe-Xi meeting in Danang focused on far-reaching improvements in relations after each had boosted his power at home. However, these incidents were mostly overshadowed by the Trump meetings in November with Abe, Xi, and Putin. Many do not take very seriously the diplomatic maneuvering of two allies, dependent to an unprecedented degree on US deterrence, at a time of imminent threat. Three explanations for why Abe and Moon are proceeding in ways few predicted vie for support. All appear to have some validity, as do explanations centering on deep identity concerns of Abe and Moon, given their domestic political trajectories. Trump sets the tone for many countries in Asia, especially US allies. His abandonment of prevailing US foreign policy approaches paves the way for maneuvering by Abe and Moon. The North Korean crisis has reached a climax, driving urgent foreign policy choices. Last, the rapidly shifting dynamics of East Asian security make new thinking unavoidable. The situation in Northeast Asia remains in flux, driven in part by North Korea. It is early to determine how much hedging and balancing are replacing polarization.